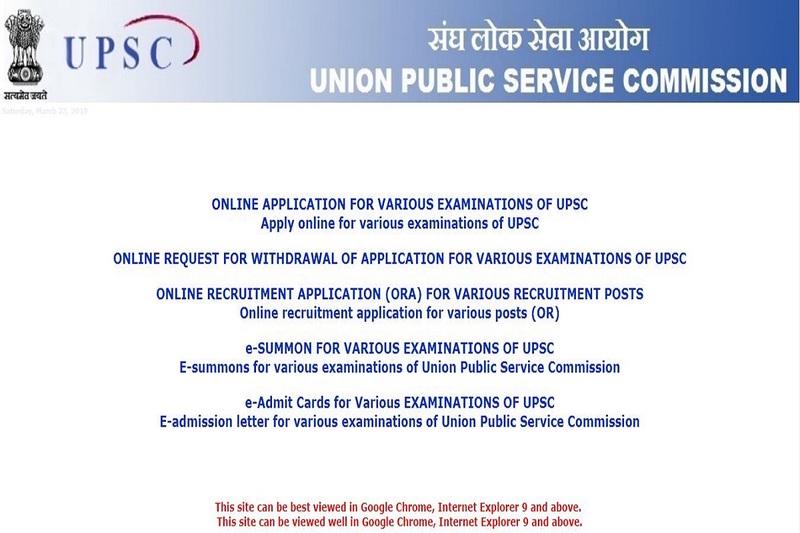 UPSC examinations: Union Public Service Commission has released the official notification inviting applications for the Combined Geo-Scientist and Geologist Examination, 2019. All the interested candidates should visit the official website upsconline.nic.in. the application process will end on April 16, 2019. • Online applications can be withdrawn from April 23 to April 30, 2019. • Geologist and Geophysicist and Chemist (Group ‘A’): The candidates should be in the age limit of 21 to 32 years of age. • Jr. Hydrogeologist (Scientist B) (Group A): The candidates should be in the age limit of 21 to 35 years. • The selection of the candidates will be done on the basis of Written examination and Interview/ Personality Test. • For the syllabus of the examination, the candidates should check the official notification here. • The applicants are advised to submit an only single application. However, if due to any unavoidable situation, they submit multiple applications, then they must ensure that application is complete in all respects.